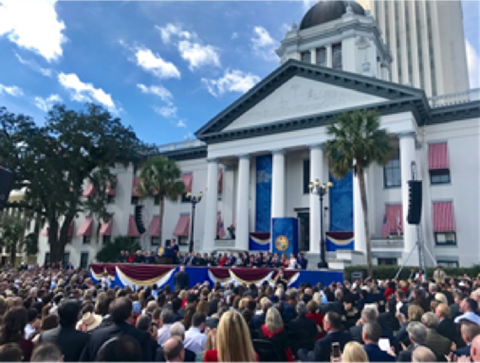 Last week marked the first interim committee week of January, but the focus in Tallahassee was on the executive branch as Governor Ron DeSantis and the other elected members of the Governor’s Cabinet were officially sworn in on Tuesday. 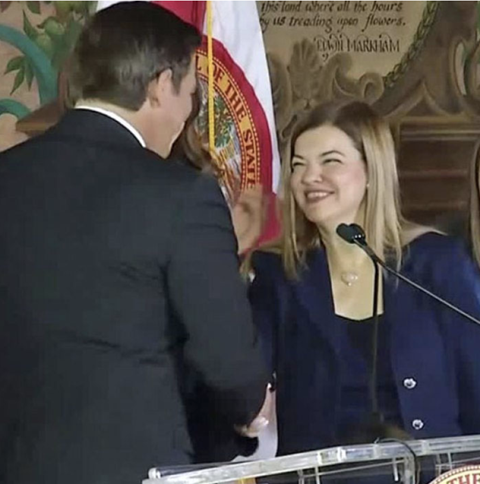 In addition to Governor DeSantis, Lieutenant Governor Jeanette Nunez, Attorney General Ashley Moody, Chief Financial Officer Jimmy Patronis, and Commissioner of Agriculture Nikki Fried also took their oaths of office Tuesday morning. 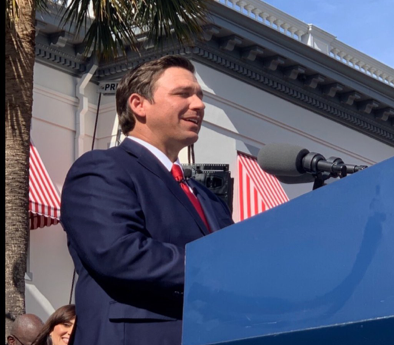 On Thursday, Senator Passidomo joined Governor Ron DeSantis to announce an additional $1 billion to address Florida’s water crisis. ● $2.5 Billion for Everglades restoration and protection of water resources (a $1 Billion increase over 4 years). ● The Establishment of a Blue-Green Algae Task Force. ● Acceleration of the Everglades Agricultural Area Storage Reservoir Project. The Senate Education Committee viewed a presentation from the Office of Safe Schools on the implementation of the Marjory Stoneman Douglas Public Safety Act. Some topics of discussion included threat assessments, compliance guidelines, Fortify FL, and mental health awareness training. 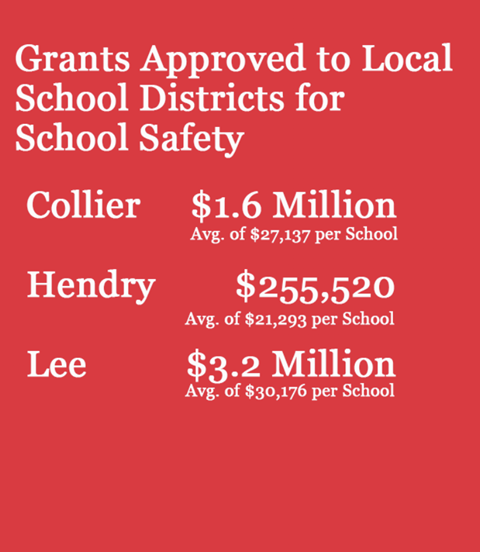 The Office of Safe Schools also reported that grants have been made available to local governments for hardening portions of a school, depending on results of mandated threat assessments. On Thursday, the Appropriations Subcommittee on Agriculture, Environment, and General Government viewed a presentation on nutrient loads from septic tanks by Dr. Brian E. Lapointe of Florida Atlantic University. 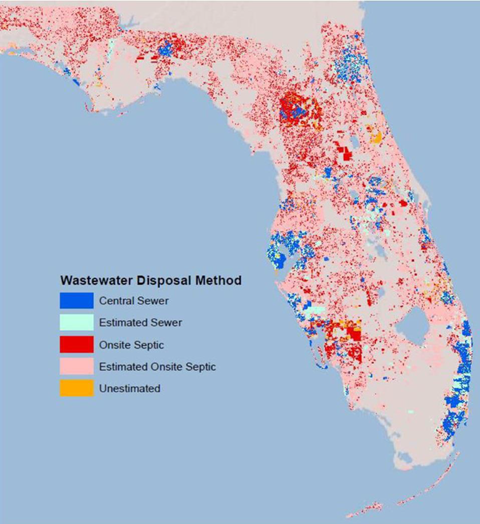 Septic tanks are a major source of nitrogen, which is a key nutrient for blue-green algae blooms, and as Florida’s population rises, have become a larger percentage of nutrient sources in the environment. Dr. Lapointe recommends that Florida follow advanced wastewater treatment models that target nitrogen and other nutrients. Since taking the oath of office Tuesday, Gov. 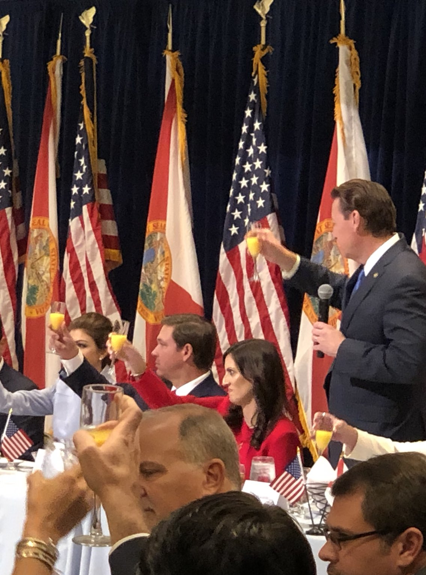 DeSantis has appointed two conservatives to the Florida Supreme Court: Judge Barbara Lagoa of the 3rd Circuit Court of Appeal in Miami and Judge Robert Luck of the 3rd District Court of Appeal in Miami. 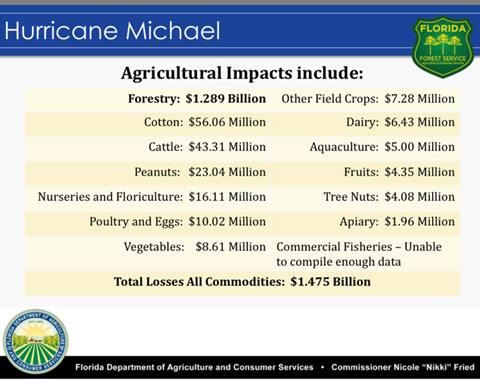 ● The top five counties impacted were Jackson ($51 M), Gadsden ($15 M), Suwannee ($14 M), Calhoun ($11 M) and Santa Rosa ($6 M). ● A total of 2.8 million acres of forest land area were damaged, valued at $1.289 billion. 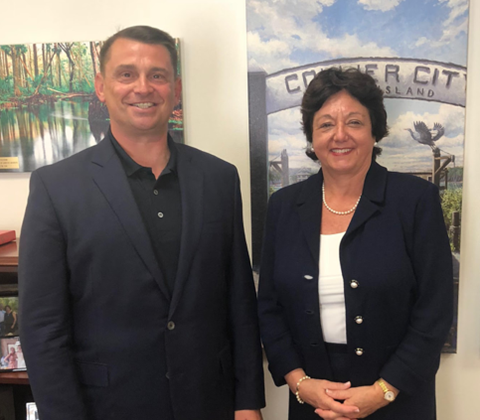 Bonita Springs Mayor Peter Simmons stopped by for a visit while he was in town for the inauguration. 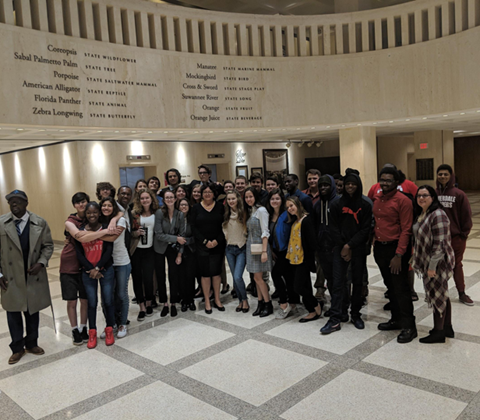 A brilliant group of high school students from Southwest Florida came to visit the Capitol to learn more about our state government. As always, please do not hesitate to contact my office any time that I can be of assistance. Paid political advertisement paid for by Working Together for Florida P.C., 133 South Harbor Drive, Venice, FL 34285.